It’s easy to install a supplemental headlight harness. From the factory, the voltage to the headlight bulbs travels from the battery, through connectors, inside the cabin, to the headlamp switch, and then back out to the lamps via undersized wire and more connectors. It’s not uncommon to find only 10.5 volts at the lamps. The supplemental harness is installed so that it provides battery voltage to the lamps and is just triggered by the factory wiring. The result is about 35% brighter headlamps and headlight switches that don’t melt and burn out. Remove grille and headlamp bulbs. I fed my harnesses from the passenger side starting between the battery and the back of the headlamp housing, over to the driver side. Plug the driver side bulb into the new harness. Attach the new harness’s ground wire under one of the small bolts on the radiator support after scraping the paint off under it. Attach the harness to the existing harness behind the grille working toward the passenger side. Plug the new harness plug into passenger headlamp. Plug original headlamp plug into receptacle on new harness. 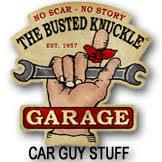 Attach the ground for the passenger side just like you did the driver side under a radiator support bolt. 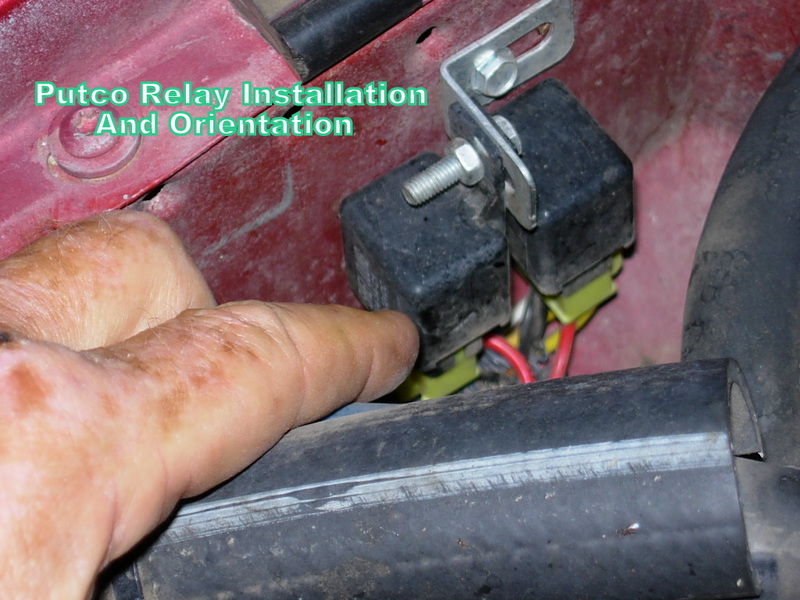 Attach relays with provided bracket on the passenger side inner fender. Connect power wires to battery. I was wondering, were do I buy or can get a hold of this relay set up ? The supplemental harness? Were do I buy or find that to upgrade my headlights. Ebay. It will be listed as an H4 harness. But, it looks like you have a Waggy. 4 headlamps? Different animal. I commented this above as well, but this is the modification I had to make to a four beam generic harness. In hindsight, it would have been just as easy to do to a two beam harness, just would have wasted two fewer H4 plugs. I threw them in a bag and into a drawer for the future, but doubt I’ll ever give them any use. Cruiser, I did a dumb thing; I clicked on the link and ordered that harness while reading this tip, only to finish by reading your last comment…I also have a Waggie with the four headlamps. Any idea how I might go about rigging this harness to work? I’d actually be happy if I could get it to only work with the low beams rather than both since I use them 99% of the time anyway. Would greatly appreciate your thoughts! I wish I had the answer!! If you could just do the low beams that would be great. Scope it out and let me know. I shall try and will report back! Here is a pinout for how to use a basic two beam harness to break out to the four beam plugs. It’s pretty easy work, just took an hour or so to complete the rewiring before attempting to put it all on. Thanks! I just received my harness, looking forward to the install. the linked harness says it will not fit a Cherokee. They haven’t a clue. It works. I have the factory bumper fog lights on my 89 XJ. Will I still be able to use those or will I have to wire them in as auxiliary lights? No problem with those lights on a Renix Jeep when using the harness. Has anyone figured out the Wag dilemma? I made it work! Here’s a pinout. The yellow and blue from my generic harness may be different than yours, but the H4 plug will have the same pinout regardless. I ended up running a whole new power line from the harness, and am bypassing the original light switch, keeping hi beam control on the column, by intercepting the load from the switch where it comes off into it’s original white and green wires originate. 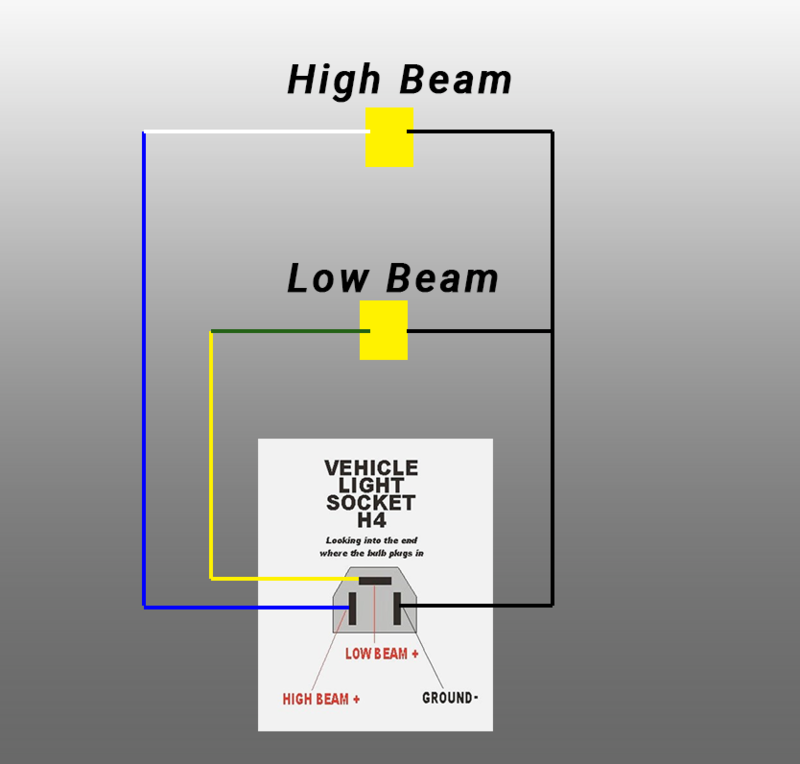 Here’s a link to a quick wiring diagram for the head light harness modification! I’m still nursing my first cup of coffee after working past midnight last night out in the garage…..
Hello, I clicked on the eBay link and put in my compatibility info 93 Cherokee xj 2 door sport 4.0 i6 and it says this harness doesn’t work for it. Do I need a different one ? They are clueless. It works. Gonna ask a really stupid question here, is a bulb upgrade required with this? Not at all. Your stock lamps will shine about 35% brighter though…. Is there a better bulb available vs the stock ones that I’d could use? Here’s where I’m at, I bought my MJ to use at the hunting lease which means I’ll be traveling mostly in the dark on backroads, before daylight and of course after sunset. I’ve driven it a couple times to work, I work the niteshift, and the lights could definitely use a boost. Any advice would be appreciated. You’re using the harness, right? and get the brightest option of bulbs they offer for a few bucks more. Thanks, headed over to EBay now. Already ordered using the link above. Okay. So, harness and Autopals with brightest bulbs. You will love it!!!! May be a few weeks before I get them installed but it’s on the list right after the Bosch 746 injectors and the ECU upgrades. The boschs should be here Friday and I’m sourcing a ECU now. Where are you getting an ECU? Been looking on EBay, need one for an automatic. There’s a couple of the 5428s on there, the cheapest is $50 which is probably not a bad price, could probably get one from the pick n pull for less but my free time to hunt one down is limited. The only thing with EBay and critical items like the ECU is you just never know what you are going to get. I’ve had a lot of good experiences and a few bad ones over there. $50 is a good price. Contact Brendan and see if he has any. 10-4, will drop him a quick line…..will let you know. Hey Cruiser, in regards to the EBay Euro headlight conversion kit that you suggested. Received the harness and light kit. Got my harness pulled in and wired up, went to install the headlight kit and notice that in the back of the headlight unit it has some tabs built onto it that are not allowing it to fit down flush into the adjustment plate. Do these need to be removed?? I’m going to post pictures over on the Comanche forum. I’ve never had an issue….. I got excited reading ALL of the XJ upgrades and fixes here on Cruiser54’s site. Hello Cruiser!! “High Five”. 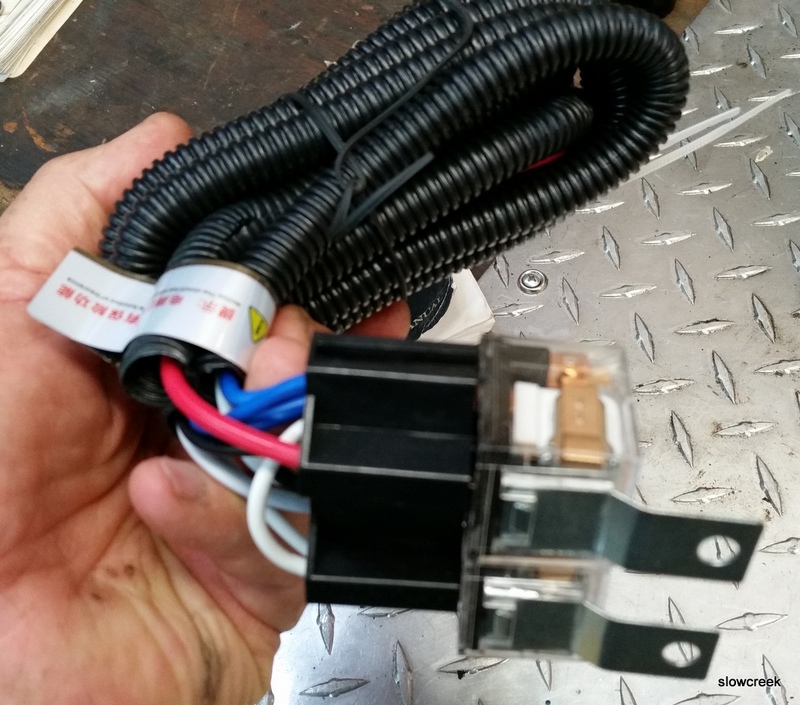 Over the past few weeks, I have read countless articles about the XJ headlamp harness upgrade and I have read that some people are having issues with the Putco harness and some other ready wired brands. I have got the bug and decided to go for it. I have some medium range electrical knowledge. The first thing I did was tested the voltage at the headlamp connector. It was at 11.2 volts (engine running). The charging system tested at 13.9 volts (engine running). What tipped me off to do this at the beginning was that I was at a stop light next to another XJ (at night of course) and his lights were bit brighter than mine (same type of headlamp). So what I did was I made up my own custom harness out of 12 gauge stranded automotive wiring. I have taken the time to solder and shrink tube EVERY connection. The only connections I haven’t soldered were the connections to the headlamp plug connectors, battery, and at the relays (I have used the Sta-Kon insulated crimp connectors so I can plug and play when replacing the lamp connector tails). When I connect the relay triggers from the pass side to the original harness I will solder those connections directly to the harness instead of using a male harness plug as well. My XJ buddies are telling me to go with LED’s. My couple concerns with that are DOT issues, and during the winter months do the LED’s lamps make enough heat on the lens to melt off snow and ice?. They tell me they do have trouble, but I’m not exactly convinced. I know this post is long winded, but I was really excited to share! Any input would be appreciated. Having installed numerous Putco harnesses over the years, I have to say I’ve had no issues whatsoever. There are better choices out there now with better price points. That said, I feel the issues with the relays, which were not common and the relays are at your local parts store by the way, is that the relays suffered from 2 things. First of all, the grounds for the harness were not done correctly by the installer. Poor grounds equals hot and failing relays. Secondly, the installers frequently installed the relay but never fastened them down, allowing them to flail around the engine bay. Another installation failure was installing/not installing/installing upside down the relays so they could take on moisture through the bottom. Thanks for the input Cruiser. I will take a second look at those aftermarket harnesses and see what’s out there. I may wind up with a Putco harness. Thank you again for the installation tips, they are golden. As a Renix XJ owner, I will look to your tips and advice to help keep my Cherokee running for years to come. Check out the harness link in my write-up. Cheap and good. Hello Cruiser 54, I have bought a Putco harness and I have installed it exactly as you stated at the top of this post. All I can say is WOW! My low beam lights are nice and really bright now. I’m still using my current sealed beam halogen headlamps and will upgrade them in the near future. I can see a lot more down road detail at night now and the high beams are killer! I’m not sure what lamp upgrade I’m going to from here and I’m still not sold on the LED option but I am eying the 200mm H6054 Euro H4 lamps in the EBAY link you mentioned a few posts back with the replaceable bulbs. My custom harness that I have fabricated is put away as a backup just in case. Thanks again Cruiser for the advice and tips. Cruiser 54, There was one other thing I did that I forgot to mention in my last post. At the time when I installed my harness, I have taken apart that one connector that feeds the front lighting that is underneath the air filter box and cleaned out both halves with CRC QD Electronic Cleaner. It wasn’t too bad but upon my inspection, it did need cleaning. I have driven for several nights now with the harness upgrade and I am happy with the end result. I’m going to leave the lights the way the are. You’re welcome!! Enjoy your Jeep.